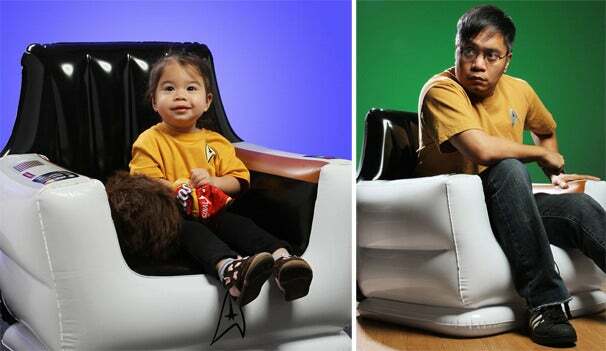 ThinkGeek has gone and brought the ever-fabled Star Trek Captain’s Chair into reality as inflatable furniture. No, this is not some late April Fools joke product; it’s a real, officially licensed Star Trek collectible. 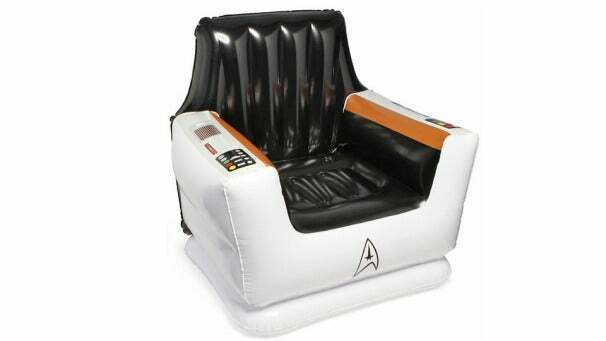 For $25, you can kick it like Kirk with this inflatable re-creation of the captain’s chair from the USS Enterprise A (NCC-1701-A). It comes complete with various buttons and lights printed on the chair so you can pretend to set red alerts, enter entries into your star journal, and send redshirts to their doom.